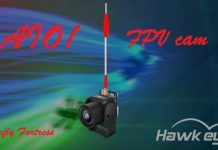 RunCam strikes-back to Foxeer’s Predator Micro with their new release. 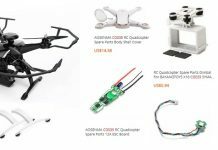 With 6 levels of global WDR, wide range of input voltage and image flipping&mirroring possibility, the RunCam Micro Eagle may turn out to be the best FPV camera in 2018. 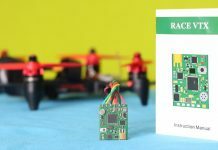 In addition to the cool features, the RC Micro Eagle has an ultra compact form factor. Measuring only 19 x 19 mm, it can be mounted on very small FPV quadcopters. 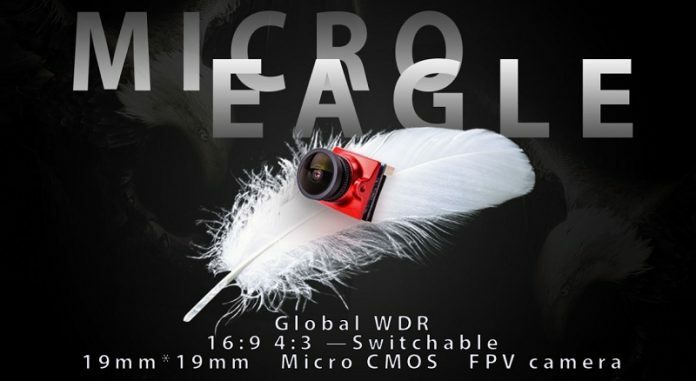 The field of view (FOV) of the Micro Eagle varies depending on the aspect ratio that the camera is set on. While at 16:9 (wide) the camera offers 170° FOV, at 4:3 (rectangular) only 140° FOV. On the backside of the tiny camera there are two small connectors. Through the two-pin plug (OSD&GND – RED, RX/TX – Orange) can be fine tuned the camera settings. The second 3-pin plug (VCC, GND and Video out) serves to power-up the camera and connect the VTX module. 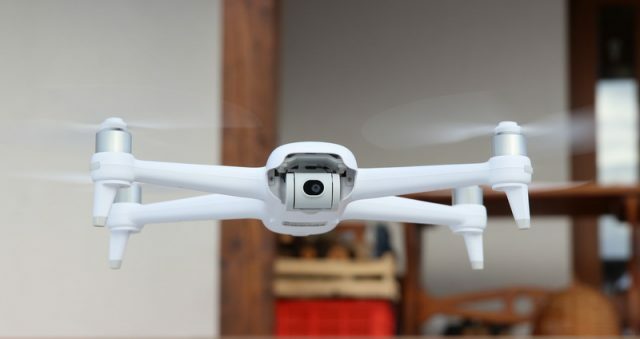 According to the manufacturer‘s specs, the camera can be powered from 5 to 36 volts. In case of 1s (3.7v) LIPOs you will need to use a voltage booster. 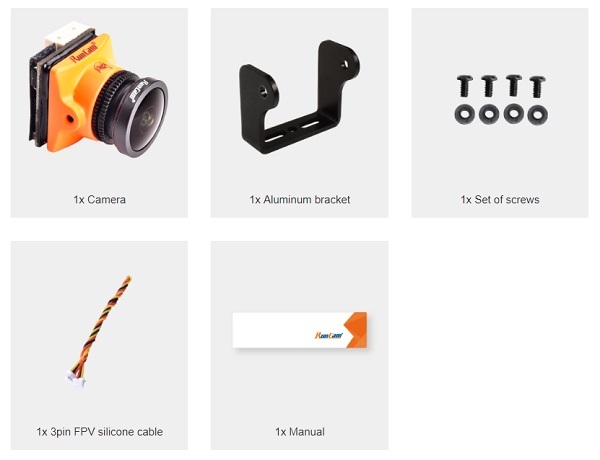 What are the differences between the Orange and Red RunCam Micro Eagle cameras? 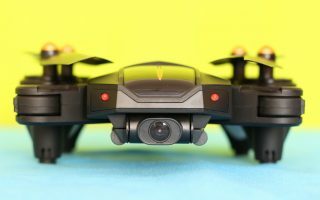 RunCam released their Micro Eagle camera in two versions. Although, both versions feature similar specs and image quality, they can be configured differently. While the Red edition comes with the usual OSD keyboard, the Orange version can be easily configured via your remote controller. Note: the Orange Micro Eagle needs to be wired with the flight controller (check the photo bellow).